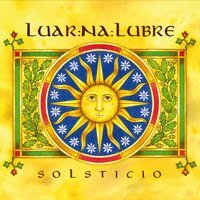 ” Solstice” , the new release from the renowned Galician Folc Band Luar Na Lubre . “The album opens a new cycle of styles precisely because we have not tried yet so deeply. It is the first time that we get well into the medieval music, with a certain chamber treatment , performing it as the troubadours and the courts in the XII Century. We got something completely different and new, and open a new cycle in the sound,” he underlined. Three-part suite created as the soundtrack for the grandeur of the stone, noble material that lasts and resists the passage of time in different buildings made by stonemasons in immemorial times. Joy also defines us Galicians as a people, and one way to express it is through music, so we did this Galician “set”. Starting and ending with a dance called “Armentón”, plus the Pasacorredoiras of Pontevedra and Ponteareas, registered with the numbers 442 and 380 in the musical compilation “Cancionero Musical de Galicia” by Casto Sampedro y Folgar. This is one of the 7 medieval chants that came to us by the hand of the Galician troubadour Martin Codax, included in the Vindel parchment, whereat is specified who the author of the compositions is. The “Muiñeira of Poio” is registered in the musical compilation “Cancionero Musical de Galicia” by Casto Sampedro and Folgar as number 315, and in this case is performed with the collaboration of the Irish musician Pat Kilbride. Pandeirada and Muiñeira, the most popular Galician rhythms by definition, with the vocal performance of the Irish musician Pat Kilbride, an old friend of Luar Na Lubre. Waltz and muiñeira composed by Bieito Romero for the soundtrack of the movie “Doentes” by the director Gustavo Balza. The first theme is a Renaissance piece composed by the Italian musician Giorgio Mainerio, included in the songbook “Il primo libro de balli” (1578), which collects folk songs and dances composed by the musician himself. The second is one of the most popular songs in the traditional Galician music. Another of the 7 Martin Codax compositions, known as “Cantigas de Amigo”, true gems of our medieval music and poetry. Here we have the voice of one of the most important Galician singers, master Miro Casabella. Musical tribute to our sacred Pindo Mountain, from two original themes by Bieito Romero. Beautiful song inspired by the medieval Galician-Portuguese lyric and composed by the musician Xosé Quintas Canella, for whom we feel great admiration and respect and want to pay tribute with our version, which in this case has the collaboration of one of the most privileged voices that we have heard in the last times: Diana Navarro. Three-part suite inspired by the death of Marshal Pardo de Cela in front of Mondoñedo Cathedral, ordered by the Catholic Monarchs. A classic in Galician traditional music, played as we like: In our own way. From immemorial times, the way of stars outlined in the sky known as the Milky Way was a guide for many pilgrims who, guided by its light, reached the Galician Finisterre, where they were amazed by the vast Atlantic Ocean and the breathtaking sunsets that can be seen from there. Cantigas de Santa Maria, number 328 and 215, whose composition is attributed to King Alfonso X “The Wise,” although there are theories that defend the Galician troubadour, poet and composer Airas Nunes to be the author of a large number of them, including these ones. Piece inspired in the old “agarrados” (traditional dance) that often made the people of Galicia dance, and with our arrangements and treatment, we intend to continue doing so. William X, Duke of Aquitaine, is probably the protagonist of this romance, perhaps one of the oldest preserved in Galician. With Germanic origins, it belongs to the Carolingian cycle, was sung by the minstrels and subsequently by the blind, and came to our days thanks to them. Gaiferos de Mormaltán is the noble name of this figure, who arrived as a pilgrim at Compostela where he died in front of the Apostle St. James. This is our version of a particular theme recovered and recorded for the first time by the musicologist from Ourense – D. Faustino Santalices – to whom we owe the legacy of many “cantigas” he recovered, as well as the revitalization of the hurdy-gurdy, an instrument that he studied, rebuilt and with which left the most interesting recordings on an LP made in 1949. Pat Kilbride: Acoustic guitar on tracks III and VIII, voice on tracks III and IV. Nani García: Keyboards on tracks IX, X and XVThis C.D. was recorded at “Bruar” Studios at A Coruña. Bieito Romero and Xabier Ferreiro were the artistic producers of this work, with the key collaboration of all group members. Mixed at the “Bruar” Studios at A Coruña, by Xabier. 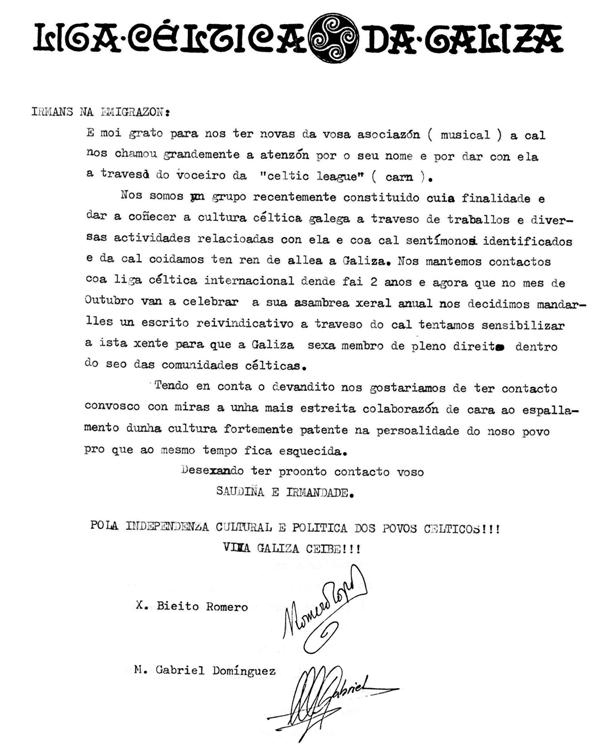 Memorable Data: (1986) – First contact with the “Lliga Celta da Galiza” from Spain. Our efforts for the recognition of Galicia by the Celtic League. Thanks to the publishing of one of our letters on the Carn Magazine we the celts in Argentina, gathered by those days under the “Royal Celtic Association of Galician Pipers”, were soon contacted from Galicia, Spain, by the “Liga Celtica da Galiza” (Celtic League of Galicia) which led later into the “Irmandade Cetiga” (Celtic Brotherhood),(both are no longer active nowadays) and from Asturias, Spain, by the “Lliga Celta d’Asturies” (Celtic League of Asturias). Hereby you may find the scan of one of the first official letters. The “Lliga Celta da Galiza” letter (translated from the original Galician text). It is a pleasure for us to receive news concerning to your (musical) association, which payed our attention for it’s name and for being known through the Celtic League’s magazine (Carn). We are a recently established league with the aims of spreading Galician Celtic culture with works and different related activities, and through which we feel identified with. We maintain contact with the Celtic League International Branch since 2 years ago, and now in October we decided to forward to them a proposal to be discussed at their Annual Meeting, intending to sensitize them in order to find a full rights recognition for Galicia along with other celtic communities. Regarding the above lines, we would like to be in contact with you in order to develop a close collaboration, with the aims of spreading a culture firmly rooted in the personality of our people, but which nevertheless might be forgotten. For a political and cultural independence of celtic people !!! Long live the free Galicia !!! This letter prompted us to support their desire to raise awareness among members of the Celtic League in order to let Galicia be recognized as member along with the other six nations that line up the Celtic League. Between 1986 and 1987 the Celtic League International Branch Secretary, the late Alan Heusaff, summoned a subcommittee in order to line out a proposal for the Annual General Meeting. As a result there were a couple of considerations: the first one, being Galicia and Asturias part as associated member countries only; and a second one, being our collectives part of the International Branch Diaspora, as individual associations or leagues. Unfortunately, London and Manx branches opposed arguing that the Celtic League only considers as “nation” those people who posses Celtic Language. Although Galicia has many Celtic words in their language, and even when Celtic languages are spoken by a minority within their member countries , our request was denied. The same happened with Asturias. 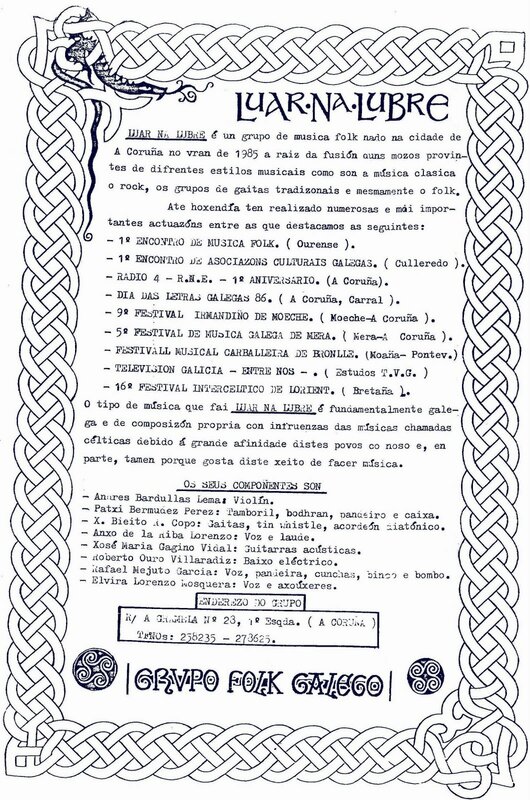 The Celtic League at its Annual General Meeting of 1987 recognized that Galicia and Asturias had a Celtic heritage , but invited us to join as individual members only. Decision which we obviously rejected. Memorable Data: Rare 1987 Bio Flyer of "Luar Na Lubre"
Hi to all…hereby I would like to share with you this pic of a Rare 1987 Bio Flyer of “Luar Na Lubre” . I received it at the time as a present from LNL’s leader Xose Bieito Romero Copo. 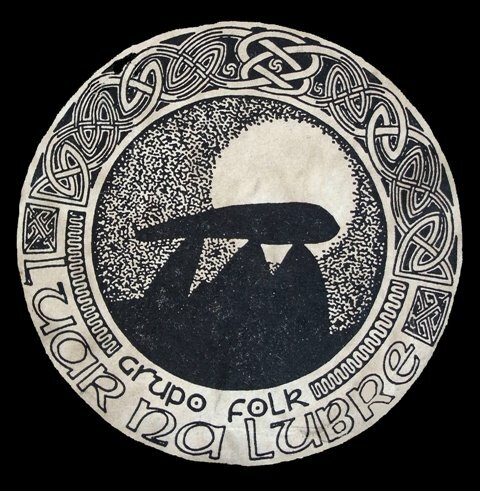 Memorable Data : Rare 1987 Sticker of "Luar Na Lubre"
Hi to all…hereby I would like to share with you this pic of a Rare 1987 Sticker of the galician folk band “Luar Na Lubre” , it dates from the year 7, by those days Biel, a celebrated galician illustrator used to make several collaborations for them. I received it at the time as a present from LNL’s leader Xose Bieito Romero Copo.